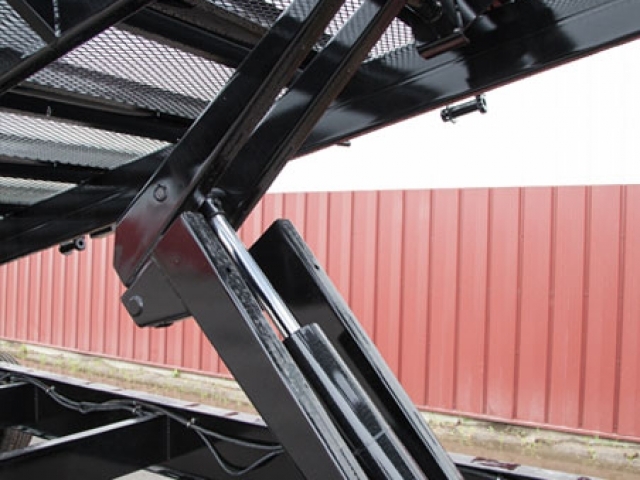 Precision Equipment is the premier truss trailer manufacture located in Fargo, ND. Our expandable truss trailers are available in 36'-51', 42'-60', 50'-70', and 53'-80' configurations. Precision Equipment MFG. also manufactures non expandable truss trailers in 40', 48', and 53' lengths to fit your demanding delivery needs. The gooseneck truss trailer is designed to haul your trusses into those neighborhoods and jobsites that are not typically accessible with longer expandable truss trailers. Our gooseneck truss trailers are available in two lengths: 32' and 36'. As with all of our truss trailers, these trailers use the highest grade paint and processes. Both the 32' and 36' gooseneck truss trailers are value packaged with pin locks, load control, LED lights, and strobe lights. All truss trailers are manufactured using today's best materials and techniques. Contact us for more details. ©2018 Precision Equipment MFG All Rights Reserved.